Orange Velodrome, better known as Stade Velodrome, was built to serve as a playing venue for the 1938 World Cup. 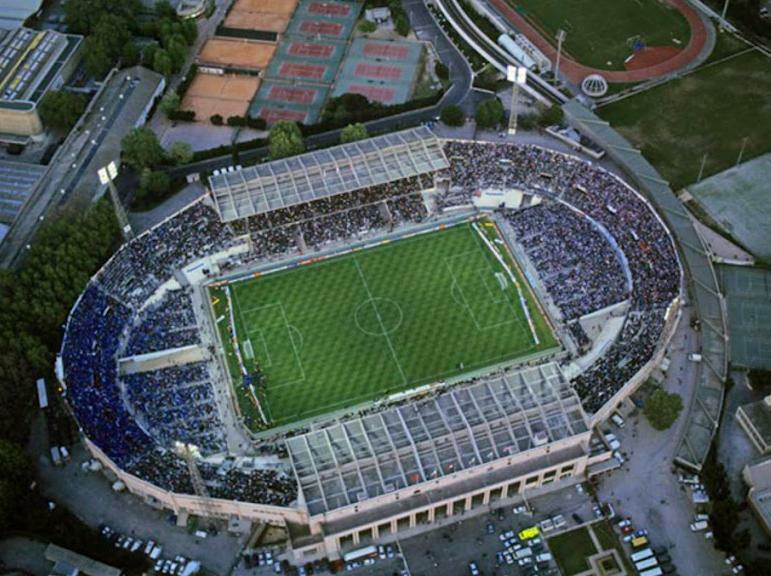 Soon after it became the new home of Olympique de Marseille after Stade de l’Huveaune had become too small for the club. 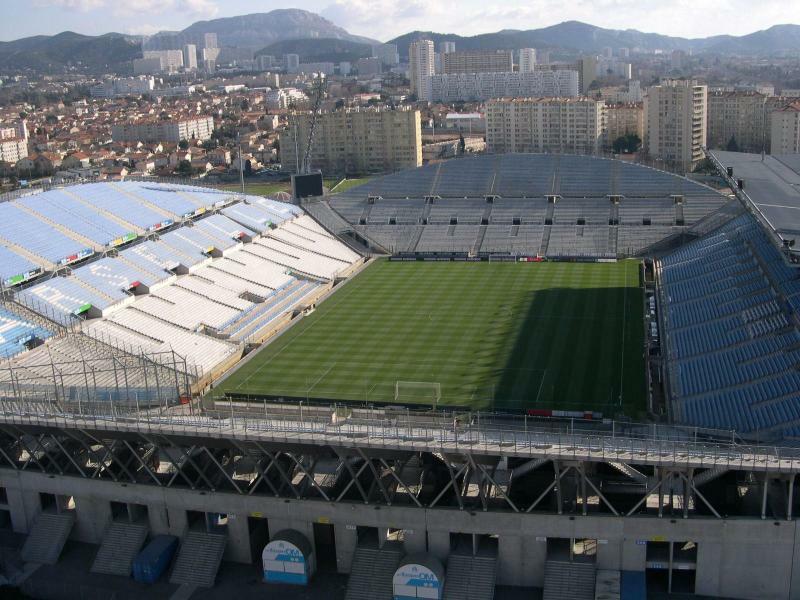 Stade Velodrome officially opened on 13 June 1937 with a friendly match between Marseille and Italian side Torino. 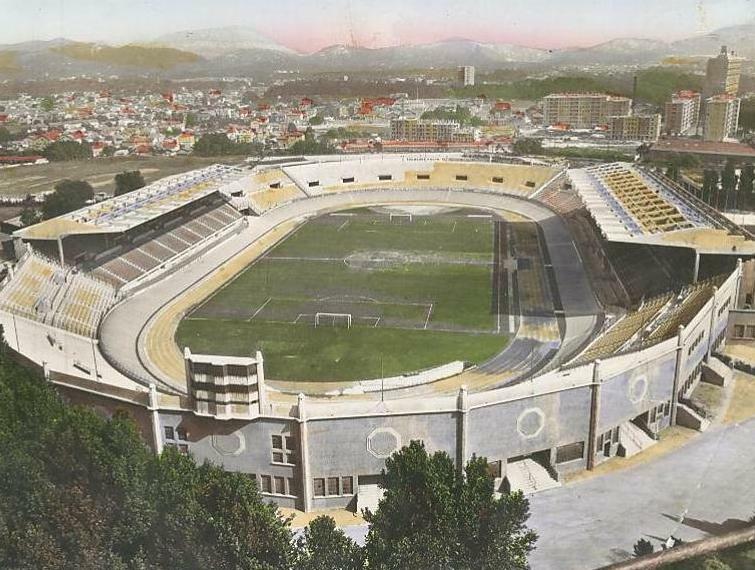 During the 1938 World Cup, the stadium hosted one first round match and the semi-final between Italy and Brazil (2-1). 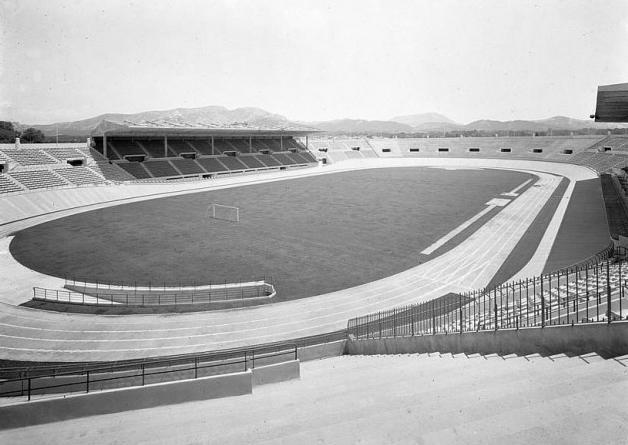 The stadium initially had a cycling track as well as a running track circling the pitch. It was bowl-shaped and both long sides had cover. The stadium remained largely unchanged for the following decades, though the tracks got gradually eaten away by the extension of the stands. Stade Velodrome received a first refurbishment in preparation of the Euro 1984 Championships, during which it hosted one first round group match and the semi-final match between France and Portugal (3-2). The stadium was almost completely rebuilt for the 1998 World Cup, and it was then when the stadium got its characteristic round-shaped stands. 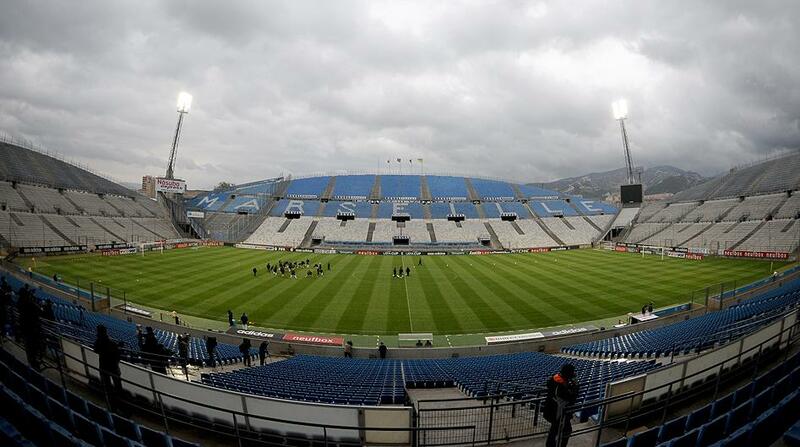 Capacity got increased to about 60,000 seats, though the new stadium was also criticised for its lack of cover. During the World Cup, Stade Velodrome hosted four first round group matches, a round of 16 match, a quarter-final, and the semi-final between Brazil and Holland (1-1). New redevelopment plans were presented following France being awarded the Euro 2016 tournament. 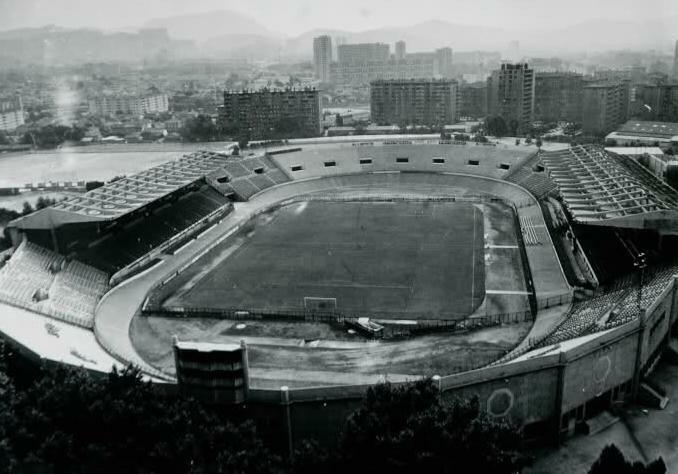 Works included the almost complete reconstruction of the two principal stands, minor works on the stands at both ends, and the construction of a roof that would cover the complete stadium, hereby increasing capacity with another 7,000 seats. The redevelopment was completed in the summer of 2014. During Euro 2016, Stade Velodrome hosted four first round group matches, the quarter-final between Portugal and Poland (1-1), and the semi-final between France and Germany (2-0). In 2016, the stadium got renamed Orange Velodrome following a naming rights sponsorship deal with telecommunications firm Orange. Orange Velodrome is located in the south of the city of Marseille, about 3.5 kilometres from Marseille’s city centre and a kilometre more from central railway station Saint-Charles. You can reach the stadium with metro line 2. Catch the metro southbound at Saint-Charles railway station or another stop in the city centre (e.g. Noailles), and get off at either Rond-Point du Prado or Sainte Marguerite Dromel (both located at different sides of Stade Velodrome). If it also possible to just walk from the old port area to Stade Velodrome, which will take 30-45 minutes. Find your way to the Rue de Rome, a few blocks inland, and turn south. The Rue de Rome turns into the wide Avenue de Prado, which brings you in one line to the stadium. It is a pleasant walk. Marseille has good train connections with the rest of France. There are frequent direct TGV trains from, for example, Paris, Lyon, and Nice. The journey from Paris takes about 3.5 hours. You can book your train tickets in advance through the official SNCF website. Marseille also has its own airport, Marseille Provence Airport, which has good connections and is also serviced by low-cost airlines. The airport is located 25 kilometres north-west of Marseille’s centre, on the other side than Stade Velodrome, so catch a bus to Saint-Charles train station first and make your way to the stadium from there. Orange Velodrome is located in a rather well-off residential area. There are a several eating and drinking options around, most of all on the Avenue du Prado in the direction of the city centre. In the city centre the old port area (Vieux Port) is the place to eat and drink. There is a reasonable amount of hotels in the vicinity of Stade Velodrome. The Mercure Marseille Prado, Inter-Hotel Parc des Expositions, and Citadines Prado Chanot Marseille all get good reviews and are only 5 to 10 minutes walking from the stadium. Hotel Le Huitième is a more budget alternative. The Novotel on Avenue du Prado is a little further away but still an easy walk, while closer to the centre. If you wish to stay close to the coast (and beach), the Residence Adagio Prado Plage may be of interest to you. Most will decide to stay in the old port area though, or a bit further south near Castellane with both the stadium and city centre at walking distance. 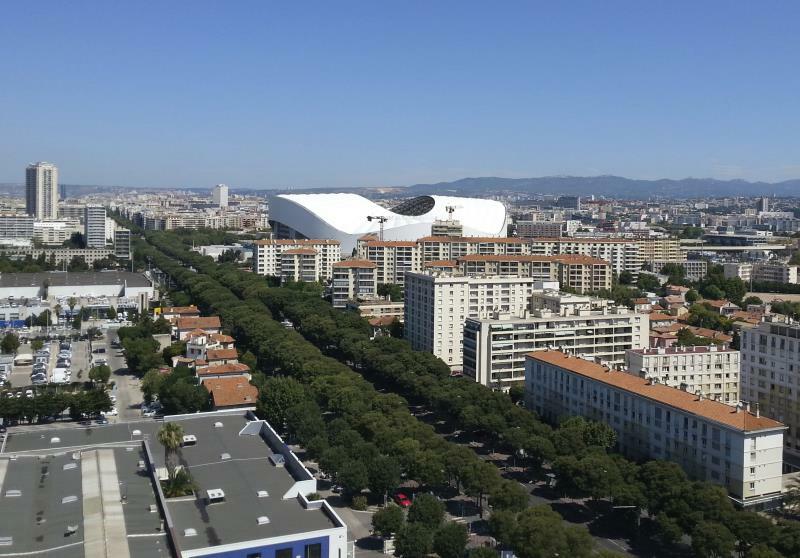 Click here for all hotels near Stade Velodrome, and here to explore further options in Marseille’s city centre. 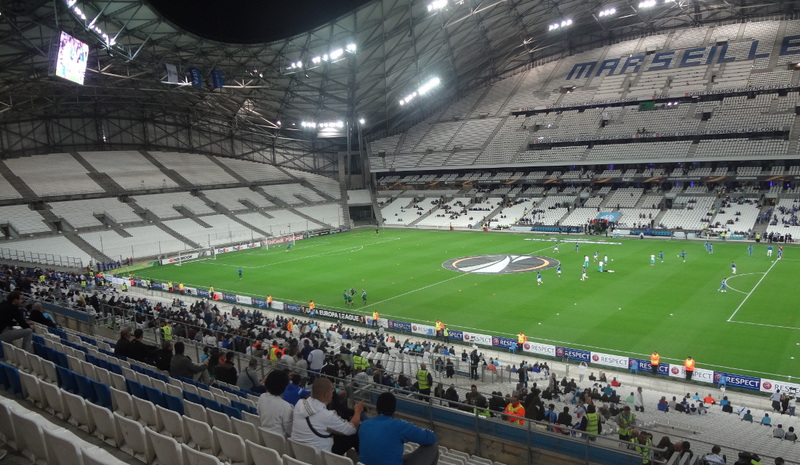 Tickets for Marseille games can be purchased online (the official website operates through Digitick), at the ticket office at the stadium, or at the OM official store at 31 Rue St Ferréol in the city centre. They can furthermore be bought at any of the Francebillet, Ticketnet, or Digitick sales outlets. Ticket prices can depend on the match, but expect to pay from €10.00 for a seat behind the goal to between €20.00 and €55.00 for a seat at one of the sides. Prices for high-profile games tend to be somewhat higher, but tickets for low profile matches such as the Europa League can go for even cheaper. For more information call +33 (0) 892 700 840. The Marseille tourist office organises guided stadium tours that include access to the dressing rooms, the press room, stands, and players’ tunnel. The tours last about 75 minutes. 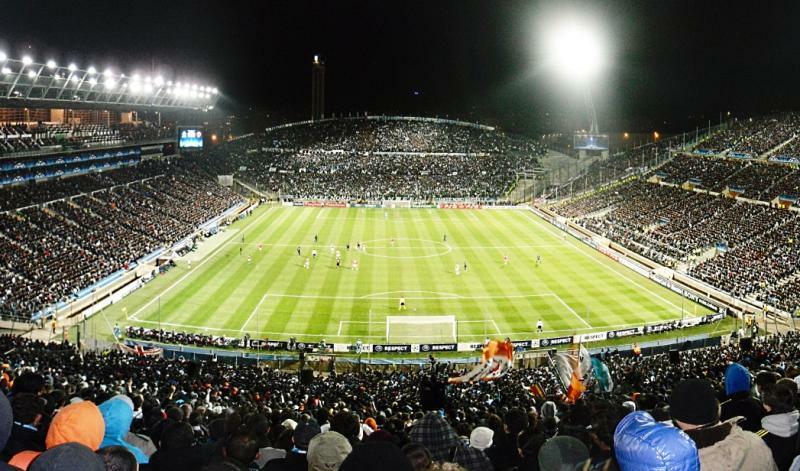 Tours run most days of the week when there are no matches or events at the stadium multiple times a day. Check online for an up-to-date schedule. Tickets can be booked online. Call +33 (0)4 86 09 50 34 or email booking@marseille-tourisme.com for more information. OM.net – Official website of Olympique de Marseille. Marseille-tourism.com – Official website of the Marseille tourism office. RTM.fr – Marseille public transport information. Attended the stade velodrome for Hungary v Iceland in Euro 2016, always wanted to go, wasn’t disappointed, fantastic stadium, seats were, I agree, cheap, backless plastic seats on concrete slabs, great atmosphere from 35000 Hungarians. Great view. Fantastic structure. Stopped in a hotel nearby and an hour after I sat outside having a beer many many thousands still streaming past! I have recently attended a match against Touluse. I bought my ticket a day before The game in The ticket office at The stadium. 15 euro price weeks to be ok for The level of football both teams presented on The pitch. Beautifull both outside and inside! I found seats small but comfortable. It is hard to find anybody who speaks english around The stadium. You can take a backpack to The stadium! Free match programmes are available from around The ground. The stadium looked empty and i was very suprised to see an attendance of over 41000?! Olympique is going through a very difficult period and atmosphere was not The best. Two sets of fans behind both goals tried to sing but it was rather unipresive. I have always regarded fans from Marsyllie as top supporters buy they did not step up to The plate. There were no away fans! Overall Marseille is a great place to visit. Stadium is awesome and would go there again. Very impressive looking from the outside and eye-catching design inside. However, it’s no wonder that some of the areas of seats are called ‘inferieur’! Small plastic seats/backs are set on concrete slabs: There is minimal seat room and no leg room as such as the seats in front are obviously set on the same raised concrete slab. I’m 5’10″tall and had to sit with bent legs. No one can get passed you and even when standing up, this is a difficult exercise. I suppose it’s how they get 60-odd thousand in! minimise comfort to get you nearer to the pitch. The design also seems to encourage people to walk over the seats to get into and out of their places hence seats are badly marked. I also thought that the journalists location was way too high/far from the pitch. They must need binoculars to see the players’ numbers.Enjoyed my visit for the recent Groningen Europa match and glad that only 9,000 attended!